On Ash Wednesday, Easter seemed a long way off. Fasting, prayer and almsgiving are never easy. The last steps are always tough as we walk in the hope that the Promised Land is near at hand – and that our journey was not in vain. Even for the Israelites on their long Exodus from Egypt, they still had the Jordan to cross before they could arrive. As the song goes, night is darkest just before the dawn. As with all tough journeys, things may more sense only when you arrive. Lent – which has just finished - is not just some strange Christian fascination with making yourself suffer. I read a quotation recently, from the Dalai Lama. He said, "People were created to be loved and things were created to be used. Now we tend to love things and to use people." The Lenten journey is part of life-long learning as we try to love people and use things. Self-indulgence, using and abusing others can be an indicator of unhappiness rather than a sign of freedom. It is little wonder that a culture, which is told to love things, seems less able to maintain long-term loving relationships – and appears to be riddled with a deep sense of unease. So the Lenten walk to Easter is not a dying remnant of an irrelevant belief - but a cry for freedom. The world that tells us to love things would wish to stifle that cry. But there will always be those who dare to speak of the hunger for transcendence and wholeness. When we have stopped facing the reality of the Cross that hangs over every society and culture, we have been blinded in our ability to see the truth of life, the sense of death and the possibility of hope. 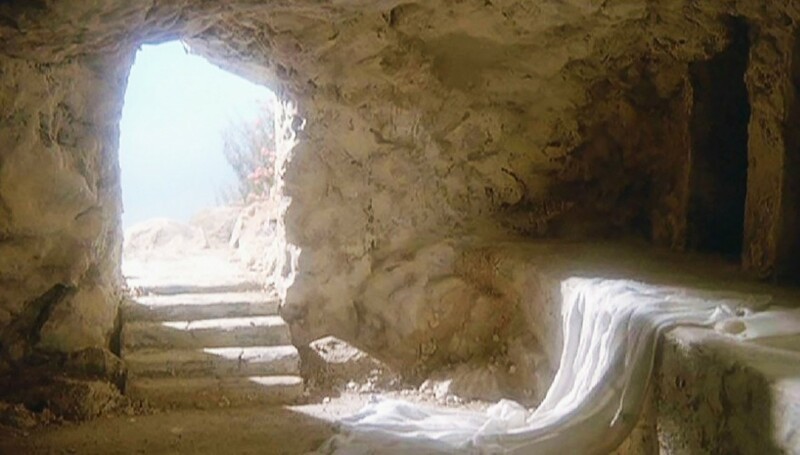 As with Jesus when he helped the blind to see and told them that the truth would set them free, so too the Resurrection breaks into the darkness of private despair and tells us that we are not prisoners of a cold tomb. We are not condemned to live in a land of passing shadows and to be distracted from distraction by distraction. Hope will not be generated tonight by football matches or talent competitions. Hope is born when a young man risks his life to rescue a baby, when a family faces death and is not crushed by despair. The snowdrops and the daffodils may last only a few weeks – but they are a sign of the summer that will come when they are long gone. Blessed are those who are messengers of hope in the dark of winter and the spring rains. They kill us for their sport. – or elsewhere where he suggests that life is a tale told by an idiot, full of sound and fury, signifying nothing. God in Jesus has the last laugh. It is not the hollow laugh of one who hopes there just might be something out there. It is the strong voice of the one who says to the apostles on Easter day, Peace be with you. It is the penetrating voice of the Jesus who speaks into the heartbroken faithful loneliness of Mary Magdalene and calls each one of us by our name. And there is much resurrection needed on this island, nearly 2000 years after Jesus' Easter Rising. Greed, poverty, violence, homelessness, addiction and neglected children scar the face of the country. Many voices shrug their shoulders and say that we are stuck with a permanent re-run of Good Friday, with its betrayal and apparent victory of brutal violence or economic and its associated political veto on many things. They can share the words of the Emmaus disciples, 'Our hope was that he would be the One.' The Resurrection of Jesus tells us that the future will not be built on the foundation of power, death and destruction. It will be built on the chiselled foundation of love, forgiveness and healing. The widespread cynicism about politics will not be cured by a re-jigging of the deckchairs. You can build an economy but not a society with a trite of '"It's all about you" philosophy. It will be built by self-sacrificing people of principle and not by self-serving purveyors of fatuous promises. It is from the hard rock of the tomb that new life will spring. It is from the generous hearts that do not cease to love and hope that signs of new life will spring. Jesus says that it is those who have suffered their own Calvary and the empty longing of Holy Saturday who can best proclaim resurrection. Those who thought they had won on Good Friday will want to hide any new life that they cannot control, to suppress the awkward questions that they cannot answer. As we know from Calvary and O'Connell Street, repression of pent-up anger is self-defeating. We know from Jesus and from experience that unexpected greatness can burst forth from those who suffered and sacrificed, and not from those who inflicted it on others or those who thought that an innocent person could be easily sacrificed for some grandiose cause or to save me discomfort. A future built on the suffering of the weak or neglect of the poor is not even a distant relation of the events of Jerusalem or Dublin. People of whatever age are to be loved and never used for someone else's advantage.Those who celebrate the Resurrection of Jesus are the messengers of both hope and mercy. The heavy stone of pain, trauma and sin can be rolled away for grace cannot be contained or constrained. Death does not have ultimate power over us. Forgiveness is possible – for I am more than what I have suffered or what I have done. As the apostles did with Mary Magdalene, many will think that the story of resurrection is only pure nonsense and will not believe them (Lk 24:11). The story will be believed in our own times, not merely by telling people to believe in Resurrection but when our contemporaries see Christ's followers acting as if they have been changed by an encounter with the risen Christ. Those who have the courage to believe the unbelievable about Christ and about people will lead others to take the leap of faith. That is why the early disciples were not told to stand gawking into the tomb. They were immediately sent to tell others.Easter is not the end of the Lenten journey but the beginning of the mission. Lent got us fitter for the task in hand. Now we have to set out to tell whoever we can about the difference that the Resurrection of Jesus makes. Make it visible in how you pray and how you love the weak. Make it clear in how you deal with life and death. You have been given much. Give much back in return. And if we can do that, we will have a happy Easter all year long!